There's a thing that pundits like to do where they read an article and then they say the opposite of what everyone's thinking. It's a good way to get attention. On the internet, it's called "trolling." Jim Motavalli apparently saw this Wall Street Journal article about GM investing in their Bowling Green plant in preparation for the next-generation Corvette and decided he'd "troll" people by writing that GM should kill the Corvette. Brilliant. Let's quote from the article over on BNET, which is full of similar anti-conventional wisdom pieces that themselves falsely masquerade as some form of wisdom. GM's future is with fuel-efficient cars that establish a new forward-thinking global tradition for the company, not with retro rockets that mine its past with ever-diminishing results. It's great that GM's recovering, but it's doing so largely on the basis of new compacts like the Cruze, which are finally competitive with small cars from the rest of the world. How does the Corvette fit into that future? Motavalli conveniently forgets that despite healthy sales from the Chevy Cruze, they're eclipsed in terms of total number and profitability by the brand's Silverado pickup trucks. And what about the highly successful Camaro? Another RWD V8-powered car that's making money and moving units. And hell, the Corvette itself can do almost 30 MPG at highway speeds — that's about equal to a Toyota Camry! Then Motavalli pulls off another popular trick used by those spouting off crackpot opinions: he marginalizes the truth by dismissing it as obvious. I know what you're going to say: The Corvette is an icon, the longest-running U.S. nameplate, an American Ferrari. 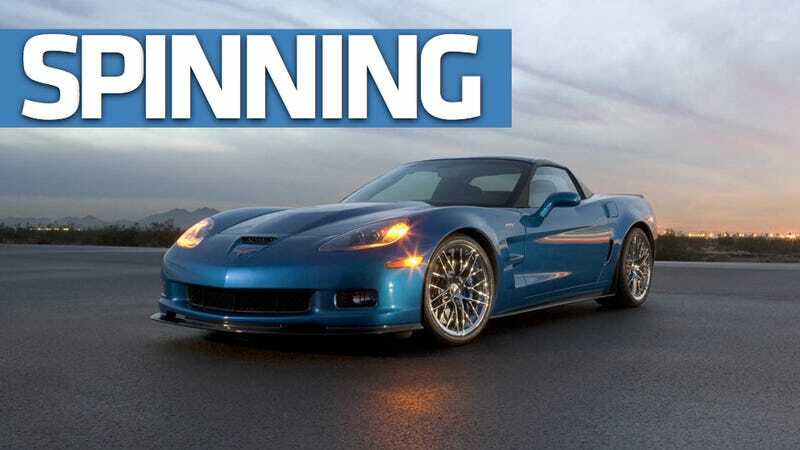 In the high-performance ZR-1, GM has a $100,000 prestige car that beats the Italians at their own game. The small sales don't matter, because the Corvette is priceless to GM in terms of enhancing Chevrolet's brand image, building excitement, yadda, yadda. There's not much arguing to do here because he realizes the truth. Corvettes bring people into dealerships, make them think about the brand, and inspires generations of future consumers to have loyalty to GM. Back when GM was building mostly crap, the ZR1 was the car that reminded everyone what the company was capable of and that success and spirit spilled over into cars as different as the Cadillac CTS-V and Chevy Volt. "[T]he Corvette, with room for two and barely enough storage space for an overnight bag, is completely impractical for anything other than breaking traffic laws and showing off. Ignoring that spending money to show off is an American right and the vehicle's capable of easily being a daily driver, the Corvette has more space than necessary to hold an overnight bag. It'll hold two golf bags. In fact, at 22.6 feet of cargo capacity (in the coupe model) its rear hatch area is much larger than the 15.9 cubic feet of cargo capacity in the trunk of his beloved Cruze. The Corvette, despite its techie aura, looks back, when all of GM's time and attention should be focused forward on building 40-mpg cars that people will want to buy. "Techie aura" is what, exactly? How is the car both technologically forward and backward-looking? I could do this all day and I can't even begin to touch his suggestion that the car should be powered by a twin-turbo V6 without falling into the fit of rage this guy's trying to encourage, but the most important reason GM needs to keep Corvette is because they managed to create it at all. Any manufacturer would kill to have such a storied nameplate in their stable. GM's making great gains with its new products — like the Cruze and Regal — but it's still selling tons of outdated and backward-looking products like the Impala and Lucerne. Why? Because people still want these cars for some odd reason. Maybe it's just as simple as after a dip in perception about the brand, people now feel good about the company again. Why? Maybe it's because they make cars like the CTS-V, Camaro, and especially the Corvette. Also, I don't take advice from people who stand in the middle of traffic.